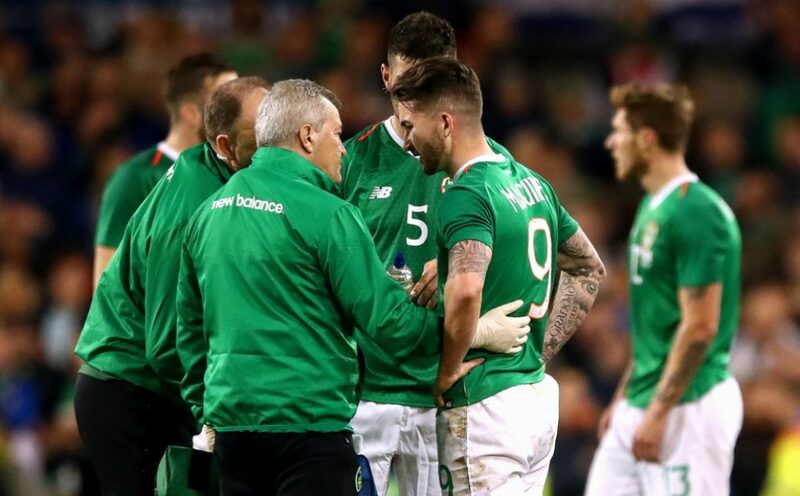 Preston North End manager Alex Neil has confirmed the likely return date for Republic of Ireland international Sean Maguire as the Cork man recovers from his latest injury setback. Maguire suffered a hamstring injury during Ireland’s 0-0 draw with Northern Ireland at the Aviva Stadium last week and Neil has said today that the 24-year-old won’t be back in action until January. It’s proving to be a frustrating time for Maguire who has had a disrupting time with injury since he made the move to Deepdale. “It’s really disappointing for Sean, we feel as though we have managed him very well and that week where he would have had some downtime he has had to go on international duty so naturally, it’s disappointing,” Neil told the media ahead of Saturday’s clash with Blackburn Rovers. Neil continued, “because he had played most of the game for us at Bristol, we couldn’t really stipulate too much in terms of his training this time around. There was more positive news for Alan Browne who wasn’t involved for the Republic of Ireland due to an ongoing shoulder injury. Neil confirmed that the midfielder is training and that he “will be fine”.